Chocolate hearts and tulips. 【SLAVIC GIRLS (WOMEN)】, ukraine girls your brides, russian girl for marriage..
Love is in small things… Some presents tell about your feelings with no words. 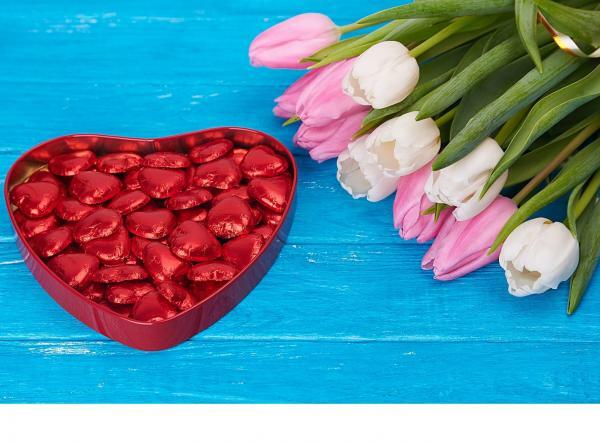 Gift your beloved a set of fine heart-shaped chocolate sweets in a heart-shaped box and no other hints are necessary... A lovely bouquet of fresh tender tulips is a perfect addition! The gift consists of 250 g of chocolate sweets in a box and a bouquet of 11 tulips.